Julie Edelman, PT, DPT received her Bachelor’s degree from the University of Colorado, her Masters of Physical Therapy degree from Emory University in Atlanta, and her Doctor of Physical Therapy degree from Regis University. 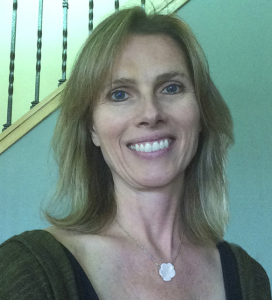 She has over 20 years of experience practicing Physical Therapy in many different environments, and is clinical director of Avanti Therapy. Julie takes an integrative approach to the science of movement, with the intent of returning people to a state of optimal function. She is committed to taking her practice a giant leap beyond traditional PT practices. Each patient receives the benefit of undivided attention to the intricacies of each physical problem, in order to determine the most effective treatment approach. She takes to time to get to the source of a person’s problem in order to facilitate optimal recovery, as well as prevention of future problems. Julie has completed hundreds of hours of continuing education in areas including Manual therapy, Craniosacral therapy, sports medicine, balance and fall prevention, Trigger point dry needling, and exercise for brain change for people with Parkinson’s Disease. She has advanced certification through the Barcelona Scoliosis Physical Therapy School. Julie is also fluent in Spanish.